On Sunday 1 February 2015, Sr Martina Teresa of Our Lady Queen of Peace made her Solemn Profession at the Poor Clare Monastery in Arkley, Barnet. The ceremony took place during Mass which was celebrated by Cardinal Vincent at the monastery and in the presence of her community, family and friends. 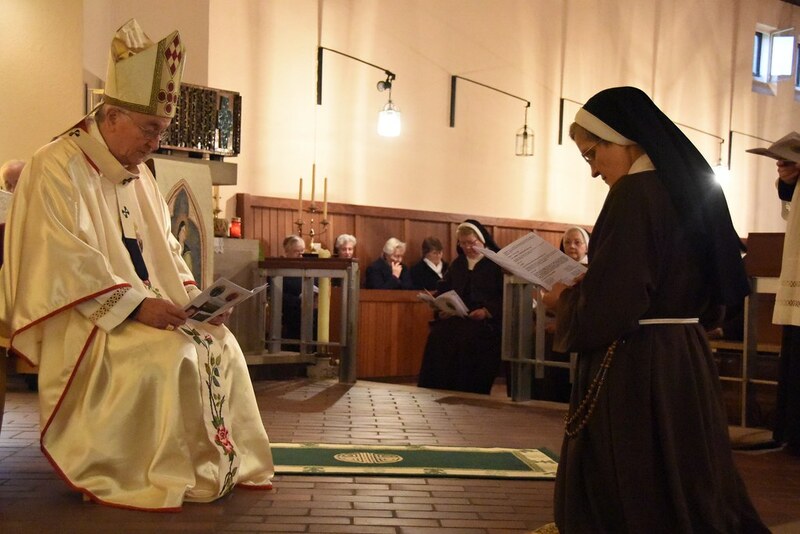 During the Rite of Profession, Sr Martina asked 'the grace and mercy of God, to consecrate myself to Him' and promised to 'do penance, to amend my life, and, as a cloistered Sister in this Community, to serve God faithfully until death'. 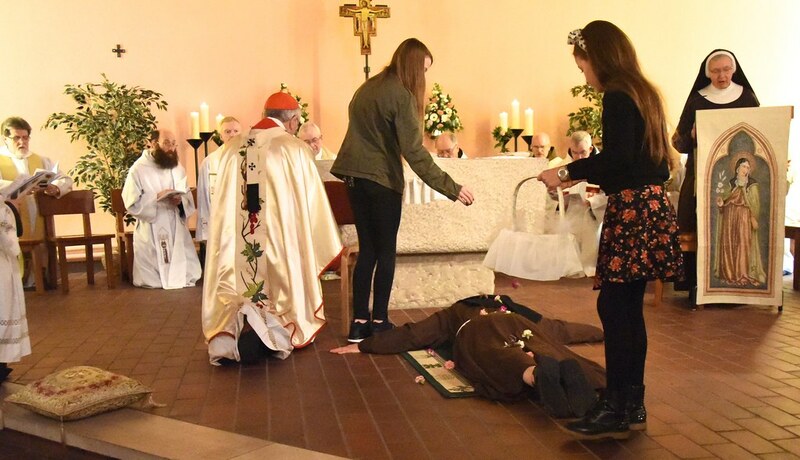 During the Litany, Sr Martina lay prostrate whilst flowers were strewn on her to symbolise 'Franciscan "perfect joy" in total surrender'. Later, she placed her hands in those of the Abbess and made her Profession, vowing to live 'in obedience, without anything of my own and in chastity' and 'to observe enclosure'. The full text of the Cardinal's homily can be read here. Additional photos of the Mass and ceremony can be found here.